Pediatricians call for recall of Fisher-Price Rock 'N Play Sleeper. Nydia Han reports during Action News at 5:30 p.m. on April 10, 2019. We have an update on the Fisher Price Rock 'n Play, which has now been associated with more than 30 deaths of babies. 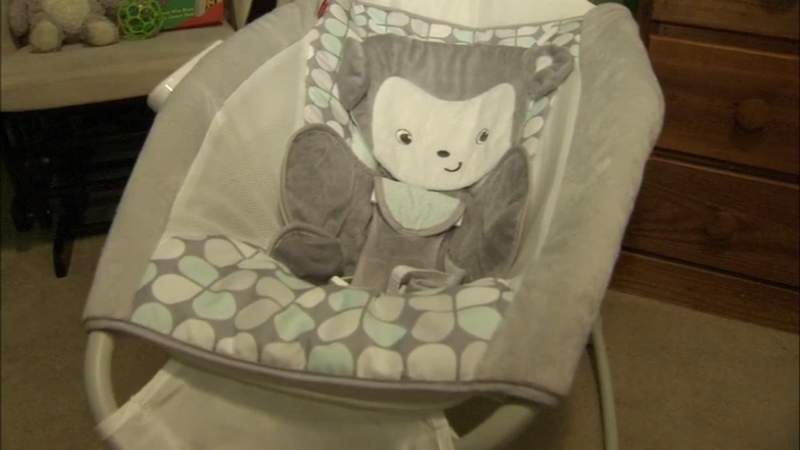 Federal safety officials issued an alert about the popular infant product last week. On Monday Consumer Reports urged the government to recall the Fisher-Price Rock 'n Play sleeper. And now another major group is calling for the same action saying further tragedies must be prevented. Parents like Laura McHugh, of Allentown, have some tough decisions to make. The Consumer Product Safety Commission says the Fisher-Price Rock 'n Play should not be used for babies over 3-months-old or for babies who can roll over. Infant deaths prompt warning about Fisher-Price Rock 'n Play. Jeff Chirico reports during Action News at 11 p.m. on April 5, 2019. But Consumer Reports and now the American Academy of Pediatrics are calling for the product to be recalled altogether. "The fact that the American Academy of Pediatrics has come out and stated that this product is unsafe should be a signal to the Consumer Product Safety Commission and Fisher Price that pediatricians do not recommend this product and they recommend that this be recalled immediately," said Rachel Rabkin Peachman of Consumer Reports. Consumer Reports and the AAP are also urging all families to stop using the product immediately and for retailers to remove it from their store shelves even before a formal recall. CR said its own investigation found deaths of babies younger than three months and it believes the danger goes beyond the risk of rollovers. The AAP's safe sleep guidelines state babies should not be put to bed at an incline because it can increase the risk of suffocation. Just Between Friends, the huge consignment franchise, is getting ready for its final spring event this week and its organizer, Tracy Panase, isn't taking any chances on safety. "We pulled them based on the recommendations of the American Academy of Pediatrics as well as Consumer Reports and we just believe that as a group of moms who are here supporting other families that it was the right decision to make," she said. Do NOT use it for babies over the age of three months. Do make sure you use the three point safety restraint. Fisher Price has said it does not believe any deaths have been caused by the product. The CPSC said it is continuing to evaluate the product.